One in four dog owners aged over 50 are unaware that from April 6 all dogs over eight weeks legally need to be micro-chipped, according to research by Saga Pet Insurance. Saga estimates that more than five million over 50s own a dog and while the majority of these people already have their dog micro-chipped, some 6 per cent say their four-legged friends do not currently have one. 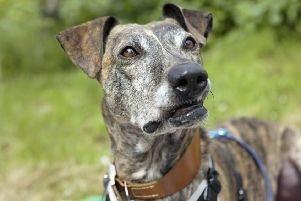 Kevin McMullan, head of Pet Insurance at Saga, said: “Whilst we offer customers £250 to advertise a lost pet, micro-chipping your dog has always been a great way to reunite you with your hound so it is great that this is now a legal requirement. Saga is contacting its pet insurance customers to remind them to get their dog micro-chipped if it does not already have one.